Virginia Thorn is a singer-songwriter from South-East London with Argentine roots. She is influenced by music from North and South America, as well as the British indie pop scene. Virginia was classically trained at the Blackheath Conservatoire and later studied the bel canto technique with Sandra Scott. In her late teens she became captivated by the music of the 1960s folk revival and set out on a pilgrimage to New York’s Greenwich Village to visit the streets which, nearly half a century earlier, reverberated to the sounds of ‘music in the cafes at night and revolution in the air’. 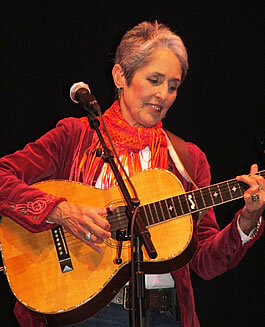 Bob Dylan (who wrote those words in ‘Tangled Up in Blue’), Joan Baez and Joni Mitchell were among the formative influences on her music. Martha Wainwright is a contemporary inspiration, particularly for the passion and vulnerability she channels in her live performance. Pressed to choose one musician above all others, she concedes it would be Tom Waits, admiring his gift to ‘weave a story through song that distils the longing of the human heart’. Melanchly and longing are common themes in her writing. She reflects that songs are her primary answer in times of existential crisis. Virginia, who is poised to release her debut CD, How Shall We Say Goodbye?, also works with children and adults as an arts psychotherapist. She plays music in gig settings and less common environments, such as movement workshops and meditation spaces and is artist in residence with the Freemind Project which uses live improvised music to allow greater relaxation and insight. She has appeared on stages across the country, playing solo and in collaboration with others including classical French horn player Thomas Allard and pianist Hara Kostogianni who feature on her album. At a festival last summer, her set was billed as heart-centred acoustic music and this fits, if one includes the fiery expressions of the heart as well as the softer edges. When not performing as a ‘Girl with a Guitar,’ Virginia has also given classical concerts and is currently working on an electro-synth project with tracks to be released later in the year. In 2014 she appeared at the Royal Festival Hall as part of Maurice Onejah’s reggae collective at the Changing Britain Festival. One of the few buskers last year of the hundreds who auditioned to be awarded a TFL Licence, she can also be found brightening the journey of London’s commuters on the Tube. When the sun is shining, Borough Market is a favourite spot which means those out for a lunch break can feast all their senses! Ralph McTell, whose ‘Streets of London’ is sadly as topical today as when it was written almost fifty years ago, remembers Wizz in 1961, ‘already a legend’. It was Wizz who suggested the younger man change his name to McTell, in honour of Blind Willie McTell. It was Ralph who persuaded Wizz to splash out on the Epiphone dreadnought-style guitar he plays to this day. As a would-be bluesman, Rod Stewart ‘watched him from a distance and admired his guitar playing.’ And in 2012, Bruce Springsteen opened a show at Berlin’s Olympiastadion with ‘When I Leave Berlin’ , written by Wizz in the early Seventies, when the city was still divided. Sadly, the Boss neglected to publicly credit the composer, who heard about the performance only several weeks after the show. Wizz learned from the masters. He was taught banjo by Peggy Seeger and Ralph Rinzler , and grew up playing guitar with Davey Graham and Long John Baldry. In the great tradition of blues and folk, he shared what he’d learned with guys many of whom went on to be more famous and much richer than he. Like many of his contemporaries, Wizz developed his first callouses playing in a country and skiffle band named the Wranglers, formed in his home town of Croydon in 1957. He’d been inspired to pick up a guitar having heard Big Bill Broonzy and Muddy Waters playing in Soho clubs as the folk revival crossed the Atlantic. Soon he too was playing those same clubs. Wizz and his confrères – among them Carthy, Davey Graham, Bert Jansch and John Renbourn – were part of a rich and vibrant scene, a golden age of acoustic folk and blues, and their influence can be heard in the work of countless of today’s young musicians. Carthy joined the Watersons. Jansch and Renbourn found fame and commercial success with Pentangle. Wizz continued to do his own thing, touring widely in Britain and abroad, along the way recording a score of albums. A handful of clichéd licks. That’s typical Wizz: always self-deprecating, always happy to stand back and let others take the credit. Jansch thought him ‘the most under-rated guitarist ever’. Many would agree with that judgment. With a career spanning 60 years and counting, Wizz has fulfilled his ambitions. He remains a stalwart of the folk and blues circuit, offering up his unique style and eclectic repertoire to audiences across Britain and lending a hand at summer schools at the John Renbourn Memorial Workshops. These days, the man with ‘a right hand worthy of Broonzy’ often works with son Simeon on sax and blues harmonica. Just like all the great old bluesmen.